The Reading room of the president library commenced a new season. All interested people can get acquainted with rare books, newspapers that are kept in rich fund of the library. One of the frequent guests of the library is Rysbai Kerzhikeev. Aksakal prefers masterpieces of local poets and is actively interested in historic and fiction literature. In addition, the story of Rysbai Kerzhikeev’s life deserves special attention. He worked as mechanical engineer in Turgai and Akmola regions throughout his life. Moreover, he was a chairman of the trade union. After retiring, he is still interested in the life of city, plays chess and attends the library of the First President of the Republic of Kazakhstan. One of regular visitors emphasized: “I often observe pupils here and I am glad for this fact. Moreover, I am under impression because of this place. Even building is worth admiration. The atmosphere of the library is radiating patriotism and love for the homeland. A great example is the career path of Nursultan Nazarbayev. 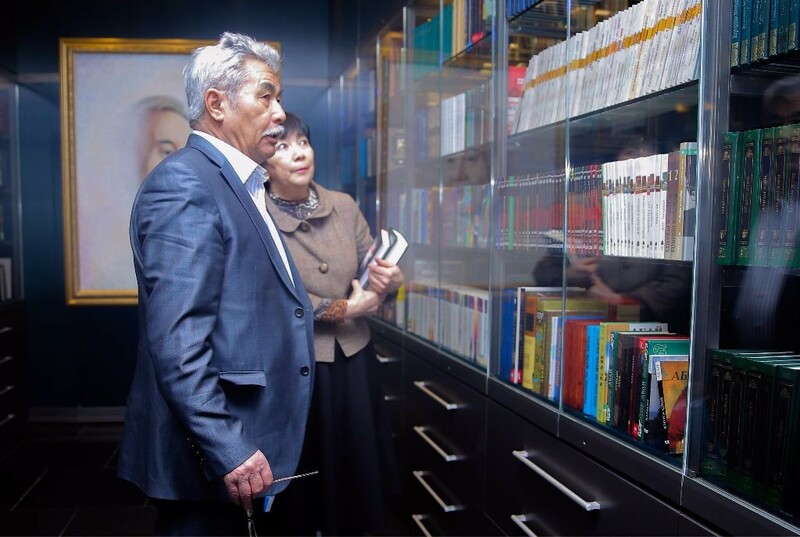 Nowadays, book fund of the President library has more than 25 thousand books. A reading room is open from Monday till Friday 10 a.m.-6 p.m. Days off are Saturday and Sunday.